If you would like to watch philosophers squirm — and who wouldn’t? — pose this tough question: Suppose you may either a) solve a major philosophical problem so conclusively that there is nothing left to say (thanks to you, part of the field closes down forever, and you get a footnote in history); or b) write a book of such tantalizing perplexity and controversy that it stays on the required-reading list for centuries to come. Which would you choose? Many philosophers will reluctantly admit that they would go for option b). If they had to choose, they would rather be read than right. The Austrian philosopher Ludwig Wittgenstein tried brilliantly to go for a) and ended up with b). In my last post I discussed the most important philosopher in the tradition of Continental philosophy — Martin Heidegger. Changing perspectives, I would now like to spend some time with the central character in the tradition of Analytic philosophy — Ludwig Wittgenstein — who is often considered (mostly by Analytic philosophers, admittedly) the greatest philosopher of the 20th century. His two most important works, Tractatus Logico-Philosophicus, published in 1921, and Philosophical Investigations, published posthumously in 1953, are generally considered two of the most important works in modern philosophy, despite having quite different styles, methodology, and conclusions. The amount of secondary literature he has inspired in the 60 years since his death would probably rival any philosopher since Kant, and he continues to exert influence far beyond the field of philosophy itself. In academics and research, his ideas are important in evolutionary biology, theoretical linguistics, computer science, and human psychology; in popular culture, the force of his captivating personality exerts a strange cross-over appeal in the form of novels, art, TV and film, and memoirs by even his briefest acquaintances. In this post, I will give a brief biographical sketch of the man (as befitting my opinion that biography is important as a part of the study of history and ideas — my best resource, in this case, was Ray Monk’s Ludwig Wittgenstein: The Duty of Genius, which you can read or download here), followed by a summary of his two main works, and concluding with some of my thoughts about why Wittgenstein is a significant figure in philosophy and what we can make of his ideas. This 75-page work consists entirely of 7 main propositions each followed by numbered sub-propositions, which shows it to be a long formal proof rather than a discussion or explanation. The first proposition is “The world is all that is the case.” Its original aim, deriving from the time when he began at Cambridge in 1911, was to continue Russell’s search for an explicit foundation of logical rules based on an ideal language that could explain mathematics and would solve Russell’s paradox (which involves the fact that any class or set or list of objects can neither belong or not belong to any higher order classification of such classes, sets, or lists) which was left somewhat unresolved at the end of Russell and Whitehead’s monumental 10-year project Principia Mathematica. The final result of the Tractatus was a much broader attempt to reveal the relationship between language and the world, not only logically, but also in terms of ethics, aesthetics, and the meaning of life. The cause of this expanded subject matter probably had to do with Wittgenstein’s expanded worldview brought about by the devastation he witnessed during the war, especially after being moved to the front lines in 1916. It must be difficult to maintain the airy metaphysics of logic in such a tragic and illogical real world, and it is indeed the final main purpose of the Tractatus to only show what can be demonstrated by logic through use of atomic propositions of facts, but also what are the limits of what can be described or understood by logic and language. Accordingly, it ends with a solitary and oracular proposition: “Whereof one cannot speak, thereof one must be silent.” Wittgenstein was convinced that philosophy was limited by language itself, and that much of human experience which cannot be explained clearly is not necessarily untrue, but is outside the bounds of philosophical understanding. We are reminded of Hamlet’s “There are more things in heaven and earth, Horatio, than are dreamt of in your philosophy.” (Interestingly, Russell was also forced by the war to descend from the mountain of reason and speculation to enter the real world beyond philosophy–he spent the rest of his long life writing popular and political works and spreading ideas of peaceful understanding and social and political reform). Another of the points of the Tractatus is to distinguish what can be said, with words, and what can only be shown in actuality, outside of language. Thus, while he was confident that he had built the logical foundation for all philosophical explanations, there nevertheless remained a body of facts that could not be explained within this logical system and would only be reduced to nonsense if someone attempted to explain them in terms of logical atomic propositions. The penultimate proposition in the Tractatus, 6.54, reads: “My propositions are elucidatory in this way: he who understands me finally recognizes them as senseless, when he has climbed out through them, on them, over them. (He must so to speak throw away the ladder, after he has climbed up on it.) He must surmount these propositions; then he sees the world rightly.” The world beyond logic can only be shown, not said. And, prefiguring the final proposition, Wittgenstein wrote in the preface that, “Its whole meaning could be summed up somewhat as follows: What can be said at all can be said clearly, and what we cannot talk about we must pass over in silence.” Ultimately, according to Wittgenstein, neither science nor philosophy could show us the meaning of life; of the few things that philosophy could do for us, he believed that he had now demonstrated how to do them. Thus, after writing it he gave up philosophy. Wittgenstein began working on many of the ideas for this book as soon as he returned to Cambridge to begin lecturing in 1929. He struggled for two decades to express his thoughts in writing (perhaps running into trouble from his own view about the disparity between what can be said and what can only be shown). He wrote much of Part One during WWII while serving as a hospital assistant, though he was still unhappy with much of it and he added many notes, which became Part Two, while living in Ireland and Wales in the years before his death. He left the final manuscript in the hands of Georg Henrik von Wright, his successor at Cambridge, and Elizabeth Anscombe, another colleague who translated it into English. The content of PI consists in a series of dialogues and puzzles which attempts to show this method of clarification (“to show the fly the way out of the fly-bottle”) in regards to language meaning and use. Wittgenstein claimed that the meanings of words are acquired through the use of sentences in a practical context, as part of everyday human social activity and interaction. Basically, meaning is use, and the use totally depends on the social environment (he said that, for example, if a lion could speak, we [humans] would not be able to understand it). He also rejected the common notion of the existence of private languages, since a language depends not on an individual’s private and subjective sensibilities, but on its use in social context. He determined that, contrary to much philosophical tradition since Descartes, not every word can stand for an object, nor do concepts have an essence (though they might share a ‘family resemblance’). The ramifications for these critiques show that language does not mirror the world, thus language and logic cannot be the source for philosophical principles. For Wittgenstein, instead, philosophy begins in the world of real people and things; therefore, philosophical problems can be resolved only by clarifying the role that words play, and nothing more. In this way, philosophy is a therapy that eliminates confusion by focusing on the use of language that causes such confusion, with the end goal being the end of the need for theorizing. An example of one his language games on the topic of private languages is the ‘beetle in the box’ scenario: imagine a room with 6 people each containing a small box; no one can see the contents of any box but his own; when questioned as to the contents of his box, each person responds, “beetle”; Wittgenstein asks: If each person had his own private language, how could anyone know the meaning of the word ‘beetle’ in any language but his own? How could anyone, seeing something in the box, know it to be a beetle, without prior agreement on what a beetle is? Thus, meaning is socially constructed only through the actual practices of a community (and, therefore, not private). According to Wittgenstein, Philosophy, which is a search for meanings, truth, knowledge, etc., can only be understood as a social undertaking proceeding accorded to grammatical forms. All philosophical problems are not real problems but only part of a language game — instead of epistemology or metaphysics, what is called for is linguistic analysis. Going back to the ‘fly in the fly-bottle’, we must remember that the nature of the fly has not changed once it has left the bottle, and there is no guarantee that it will not fly into another bottle later if it feels so compelled. Likewise, philosophy is an activity which can be therapeutic and lead to understanding, but can only describe things as they are in the world, and not vice versa. 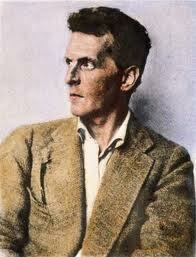 The life and thoughts of Wittgenstein are full of paradoxes. His centrality to Analytic philosophy is unquestioned, given his influence by Frege, Russell, and Moore, his influence on Russell, Moore, the Logical Positivists, and every subsequent Anglo-American philosopher, his focus on logic, mathematics, and mind, and his disregard for historicism (his ignorance of vast swathes of the history of ideas from Plato and Aristotle onwards is legendary — even if some of his own ideas seem a bit Aristotelian). At the same time, he would have never considered himself a part of any ‘school’ of ideas, and he criticized philosophy as much as he influenced it. As much as he is central to Analytic philosophy, he also seems to have surpassed it and to stand somewhat apart from it, sharing some resemblance to Heidegger (they were exact contemporaries, even though Heidegger lived 25 years longer) as well as to the American Pragmatists. Like Heidegger, he wanted to redefine the meaning, use, language, and aim of philosophy itself, and to help it carve out a niche away from the sciences. Like the Pragmatists, he saw philosophy as an activity useful for understanding the world in its social, subjective, and historical context, rather than in the Cartesian/Kantian paradigm of a search for absolute truth and analytic/synthetic distinctions. 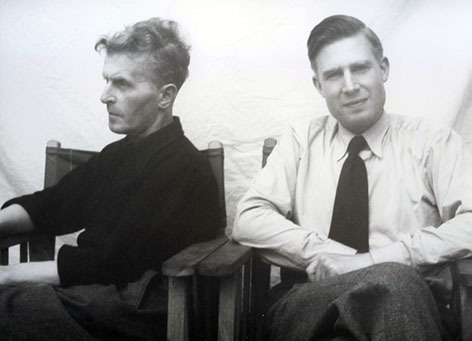 Wittgenstein’s work is both groundbreaking and revolutionary. Willard Van Orman Quine, who is considered the most important successor to Wittgenstein in the English-speaking world, followed in the latter’s footsteps by more clearly delineating the limits of Analytic and empirically-based philosophy, settling instead on a similar pseudo-Pragmatic idea of “ontological relativism”. There is enough material in Wittgenstein’s works to keep the philosophical community occupied into some point far in the future, and I have obviously just scratched the surface here. What we have in Wittgenstein is a sort of modern-day Socrates, who engages in dialogues and questions that make us rethink our own opinions and knowledge. He invites us to participate in the act of thinking and philosophizing with him, rather than simply presenting us with more dogmatic statements of truth. For this reason, discounting whether we ultimately find ourselves in acquiescence with his own conclusions, he is important, because he shows us a method of thinking in new ways and seeing problems in a new light. For this alone, he could be considered, like Socrates, a model philosopher. The fact remains that one’s first exposure to either the Tractatus or Philosophical Investigations is a liberating and exhilarating experience. Here is a model of thinking so intense, so pure, so self-critical that even its mistakes are gifts. Please find an introduction to a unique “Philosopher” whose work began where Wittgenstein got stuck. Which is to say that he really did climb all of the propositions put forward by/in Wittgenstein’s famous ladder – and then jumped off into the infinitely radiant fullness of the “void”. Plus of course the real biggy, namely death.